Hello friends! 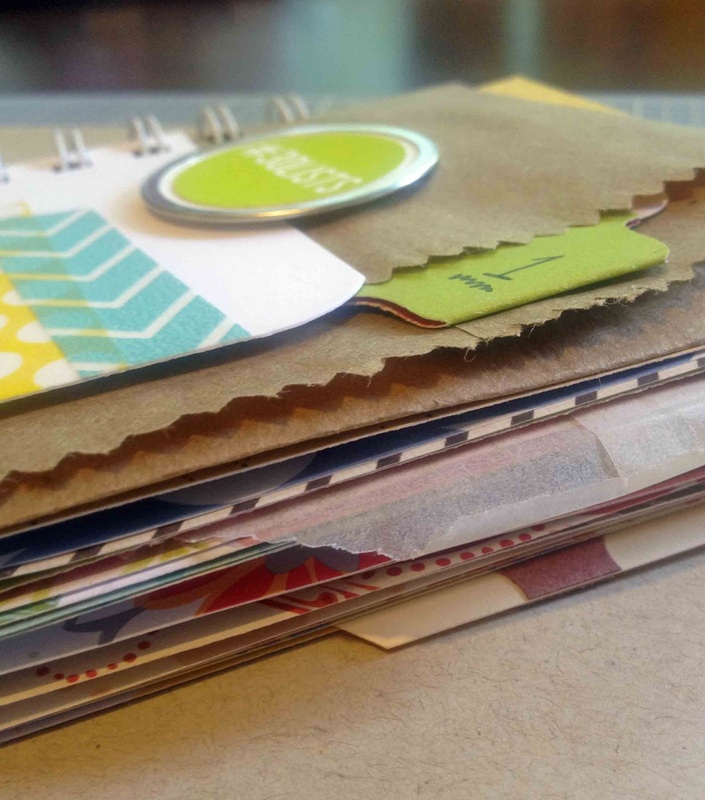 By some miracle I seem to be on a regular Tues/Thurs schedule here on the blog. We'll see how long that lasts! This is a card I made for the Paper Issues Sketchy Saturday Challenge. 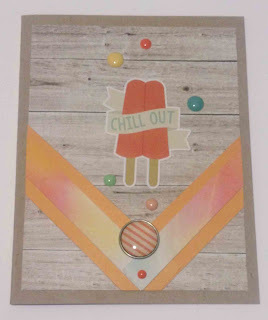 And once again, I used the Summer Vibes collection from Simple Stories. I need to splash out and play with some other goodies, but the colors and do-dads are perfect. This is definitely in my top 10 favorite collections ever in the history of the universe! We're slowly winding down our summer. Andrew & Alex start school on Monday - 11th and 10th grades. Eeek! Ever since the kids were tiny tots, I've taken off from work on the first day of school. I like hearing about their day as soon as they get home. Although at this age, I get very abridged versions. Very. It's also a day where I get to hang out and do what I want to do. That usually involves crafting of some sort, reading, seeing a movie ... I pick something just for me. Not a bad tradition! 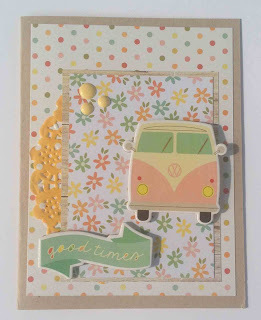 Blog hop time friends! We're getting ready to roll for September (already!?) 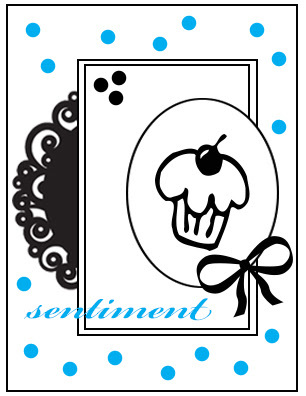 and are working with the prompts from March 2011. I looked back through my old list books and it looks like the first time I participated in this extravaganza was September 2012. So, I picked a prompt that is basically one I do every single day of my life! 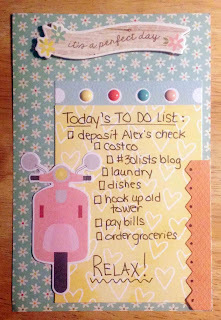 TO DO LISTS! My usual daily lists aren't so cute. For this one, I used some goodies from a Paper Issues Swag Bag. I literally pulled together the list above in about 10 minutes. That's what I love about this project - you can spend as little or as much time as you have each day. This is a project that you can definitely finish. And I don't know about you, but I have my share of unfinished projects at the craft table! Check out the other hoppers to see what they came up with. You will have some really good ideas to get started on September 1st. I hadn't made cards for so long and now I'm on a roll. Participating in challenges like the ones Paper Issues is hosting this month sure helps with that problem! I made this card using Snarky Stamps. They are fun sentiments when you need something more than a G rating. The background paper is from a Bella Boulevard collection. Love the fun bright colors! 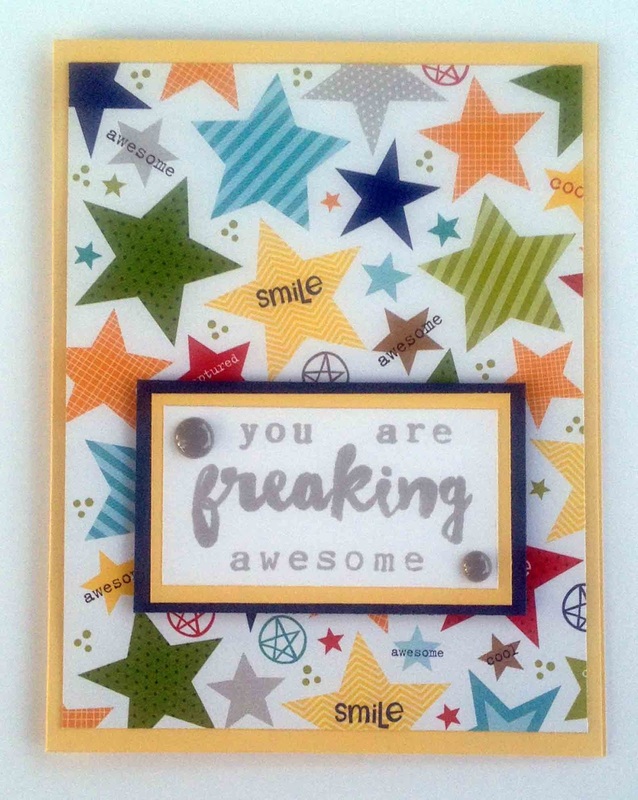 I think this card will be going to a young lady who may need a reminder. Hey friends! I made this card for Dalton's 22nd birthday. 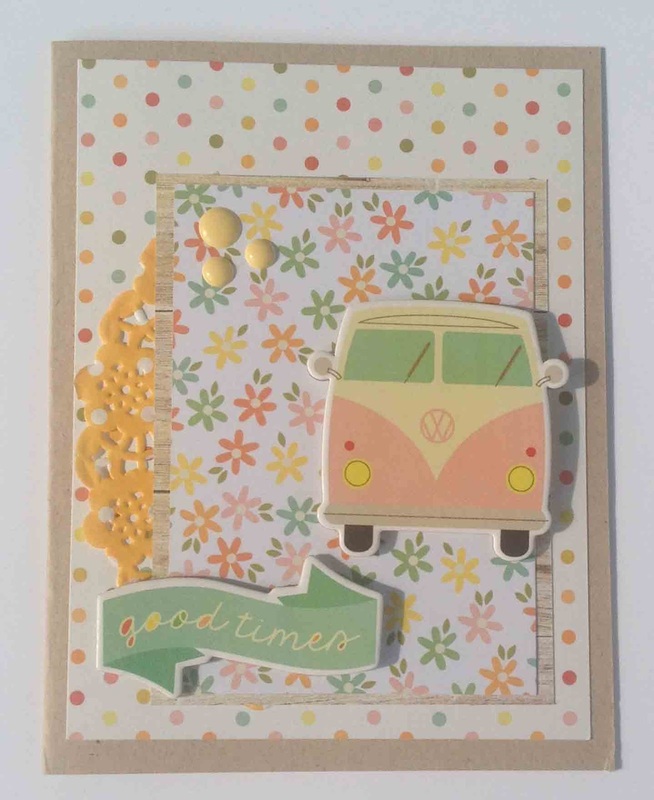 He loves hippie buses, and decided the Summer Vibes collection from Simple Stories was a must have when I saw all the pocket cards and bits that had the buses on them. 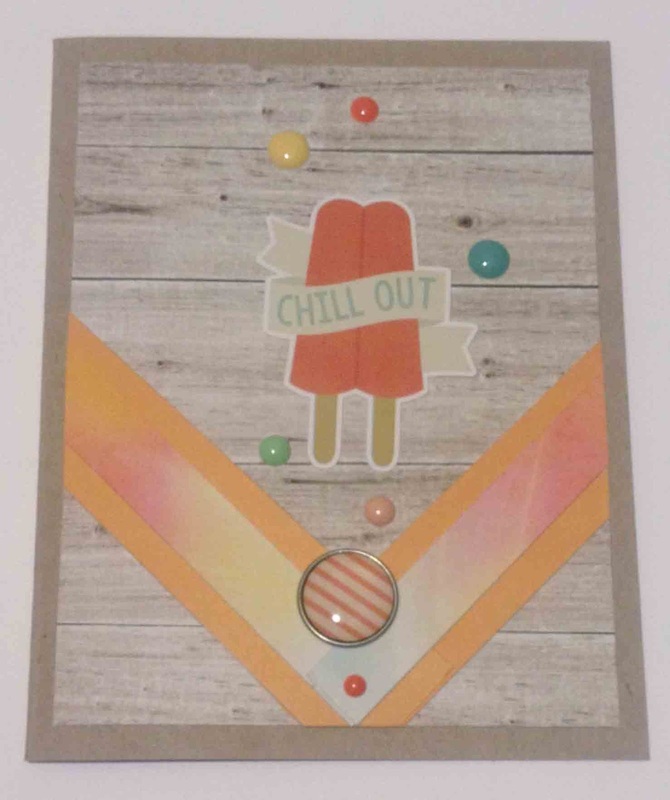 I also entered the card in a card sketch challenge that Paper Issues hosted. They're having all kinds of fun challenges in August. Check them out! Below is the sketch I followed. I enjoy using sketches because sometimes you just run out of ideas! Guess what time it is!? 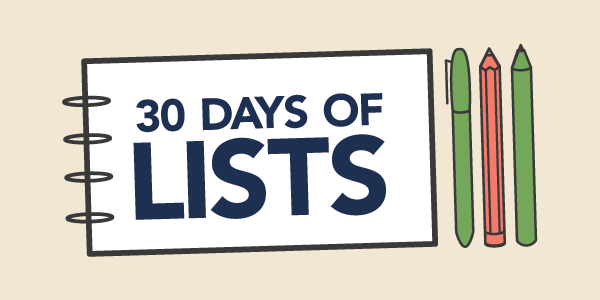 Registration is open for 30 Days of Lists! Head on over to register now! Who doesn't love a good list? Writing out lists makes me happy - it frees up my brain to think about more important things than what needs to be picked up at Target. Add a little craftiness in there and you have #30lists. I've participated in this project several times, and it's really fun! 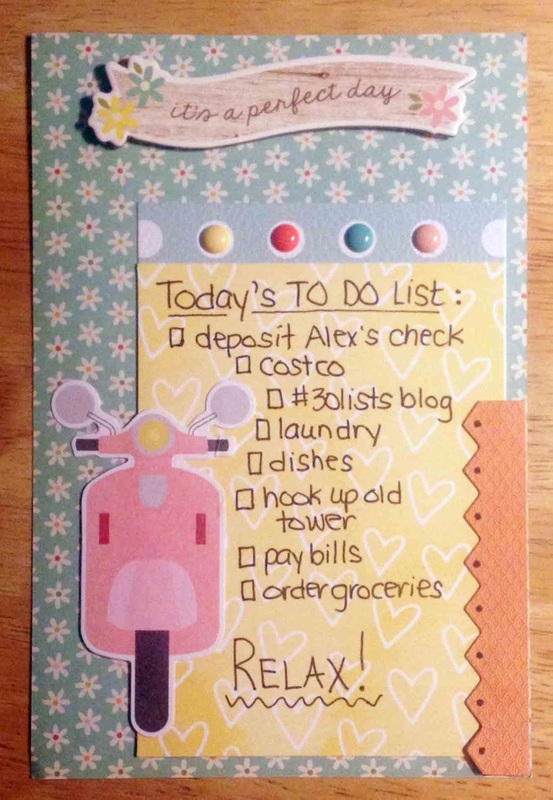 You can make your lists as simple or as fancy as you want. Sometimes I use mini books (like the one above that I purchased from Monika Wright at I Love It All) and sometimes I put the list of the day in my notes section of my phone and share the screen shot on instagram / dmg314. I'm looking forward to see what you list! I'll be posting some of my lists here, and at dmg314 on instagram. If you have any questions, let me know in the comments. Are you listing in September? 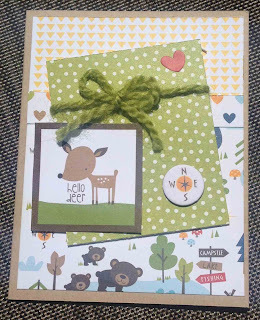 I love foresty creatures and these little bears and the deer from Bella Boulevard are the cutest! The compass is a chipboard sticker, and the deer is cut out from a daily details sheet. I found some yarn that matched the paper and made a bow to wrap it up. I rarely make bows, because they never turn out right for me, but I must say I'm pretty impressed with myself on this one. This collection makes me think of camping (no kidding, right?!). We've gone tent camping a couple times at the beach and both trips were disasters. We can laugh now, but at the time not so much. Let's just say that both trips involved breaking down camp in scary thunderstorms! We want to try the woods this time later in the fall. What are must haves for your camping trips? Working mom who crafts for sanity.